Reedsport's Ashley Schuttpelz completes a lap as she competes in the 3,000-meter run Friday during a meet at Coquille High School. Schuttpelz won the 1,500 earlier in the meet. Reedsport's Brody Priest competes in the pole vault Friday during a meet at Coquille High School. Priest won the event. Reedsport’s track team got three wins in the Coquille Twilight Meet last week. Jacob Dukovich had a personal best throw of 119 feet, 2 inches to win the discus for the Brave. He has improved by 13 feet in the event this year. He also was second in the shot put (36-11 ½). Brody Priest won the pole vault for Reedsport, clearing 9 feet, 6 inches. He also was second in the javelin with a throw of 103-7. Kahnor Pickett was seventh in the shot put (32-1) and 11th in the discus (75-10). Thomas Wolford was 15th in the shot put (17-3 ½) and 16th in the discus (33-4). Hunter Kruzic was 10th in the long jump (13-3). On the track, Nick Klier was 10th in both the 100 (13.96) and 200 (29.37). Kruzik was 11th in the 100 (14.80) and Pickett was 14th (16.10). Kruzic also was ninth in the 400 (1:12.94). Brady Dexter was seventh in the 3,000 (12:32.67) and ninth in the 1,500 (5:45.99). Reedsport’s boys also were second in the 4x100 relay, with the team of Klier, Pickett, Priest and Dexter finishing in 54.17. Ashley Schuttpelz won the 1,500 meters for Reedsport’s girls, finishing in a season-best 6:04.06. She also had a new season best of 13:04.83 while finishing second in the 3,000. Elsa Frakes was fourth in both the 400 (1:15.98) and 800 (3:06.71). Randi Dexter was 11th in the 100 (18.82). In the field events, Kat Ziska was eighth in the javelin (54-8), 11th in the discus (55-6) and 12th in the shot put (18-5). Randi Dexter was 15th in the discus (37-4) and 17th in the javelin (32-10). 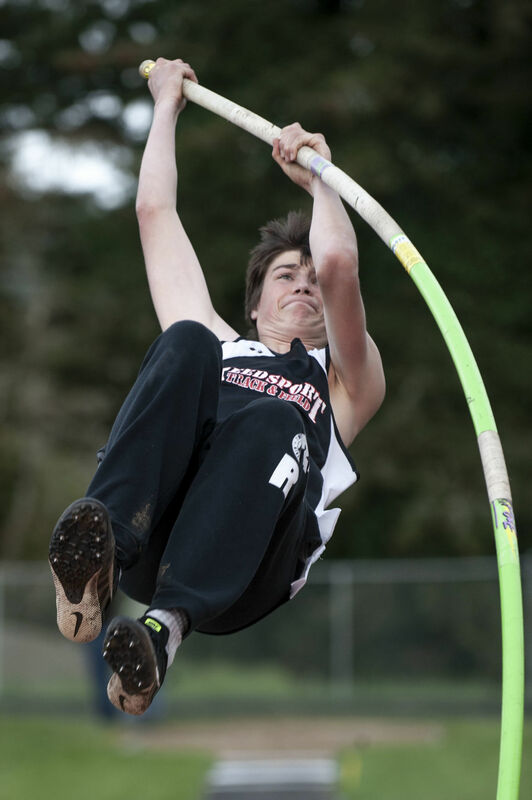 This week, Reedsport hosts both Waldport and Toledo on Wednesday, with field events starting at 4:30 p.m. and running events at 5:15 p.m.
Reedsport’s squad also is at the Prefontaine Rotary Invitational at Marshfield on Saturday. The Brave also has one upcoming schedule change, involving the annual Jack Dunn Invitational. The meet had been scheduled for Friday, April 26, but has been moved up one day to Thursday, April 25, because Reedsport is hosting a middle school sub district meet on the 26th. Reedsport also hosts the Coastal Classic on Friday, April 19.